IntruderPL has posted new development pictures from the Antonov An-28 project for FSX. LINDA (Lua Integrated Non-complex Device Assigning) has been updated to version 1.1. Details and download here. Orbx has posted more preview screenshots from Milford Sound Airport (NZMF) in the FTX New Zealand South region. Carenado has posted the first interior screenshots from the upcoming Piper P46T Malibu for FSX. 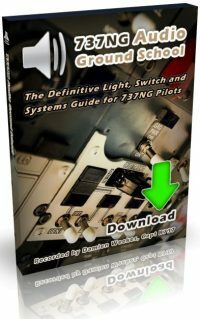 FS2Crew has released the Boeing 737NG Audio Ground School pilot training program. Details in the FS2Crew Store. The first video clip from the upcoming Let L-410 Turbolet for X-Plane has been posted on YouTube. - TOCUMEN detailed Terminal including the northern extension of the terminal remodeling. - Moving jetways and some ground service for your plane. - 100% compatible with DIRECTX10. IRIS Simulations has posted two more preview images from the upcoming F-15E Strike Eagle for FSX. Flysimware has released the long-awaited Bell 47J/G for FSX. Available at the Flysimware Website and SimMarket. - 360 degrees of animation inside and out! - Over 100 sets of bolts, nuts & washers! Flylogic has posted the first preview pictures from the upcoming Grenchen Airport (LSZG) for FSX. Aerosoft is offering 40% off on all Wilco Aircraft in this weekends sale. Valid through November 21st 2011. SoulMade Simulations has posted more virtual cockpit renders from the de Havilland DHC-2 Beaver for X-Plane. The freeware Bellegarde-Vouvray Aerodrome (LFHN) for X-Plane is now available to download at the XPFR Website. The freeware Unalakleet (PAUN) scenery for X-Plane (see Flying Wild Alaska) is now available to download at X-Plane.org. 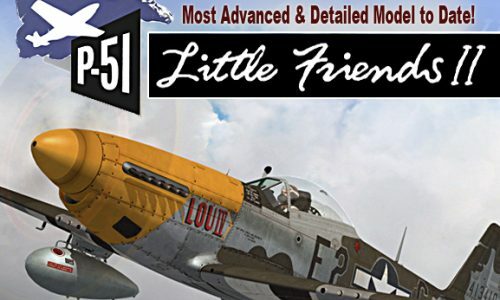 Warbirdsim has released the P-51D Mustang 'Little Friends II' special package for FSX. Details at the WBS Website. TropicalSim has released the updated 32 Airports Bundle for FSX. Details and purchase at SimMarket. TropicalSim has released the 10 European Airports Pack for FSX and FS2004. Details and purchase at SimMarket. Sim-Savvy has announced availability of the upgraded 1 meter high-resolution photo scenery for the United States. RAZBAM has posted the first cockpit previews from the upcoming McDonnell Douglas AV-8B Harrier II for FSX. Oryx Simulation is now offering a pre-pay special on the upcoming Calgary/Okotoks Air Park (CFX2) scenery for FSX. Navigraph NAVData AIRAC Cycle 1112 is now available for purchase at Navigraph or SimMarket. Orbx has posted the first previews of Dunedin International Airport (NZDN) in the FTX New Zealand South region. Flylogic has released St.Gallen-Altenrhein Airport (LSZR) for FSX. More information and purchase at FlyLogic. Project Airbus has updated the freeware Airbus A320 for FS2004 version 2.1. Download at the PA Website or AVSIM. Synchro-Soft has released the freeware Boeing 737NG V2.5 Soundset for FSX. Download at AVSIM. Pavel Karasek has released an updated version of the freeware Let (Yakovlev) C-11 for FS2004. Download at AVSIM. The Microsoft Flight Team has posted a short article on performance & hardware requirements in the upcoming simulator. RealScenery has posted more preview screenshots from the next photo scenery project for X-Plane. Orbx has posted another teaser screenshot of Milford Sound Airport (NZMF) in the FTX New Zealand South region. The freeware weather add-on FSrealWX for FSX and FS2004 has been updated to development version 1.01.1308. Nick Churchill has posted new preview screenshots from the upcoming Aerosoft Antarctica X scenery for FSX. Aerosoft has released the new completely overhauled and rebuild version of Madeira X (LPMA) for FSX.